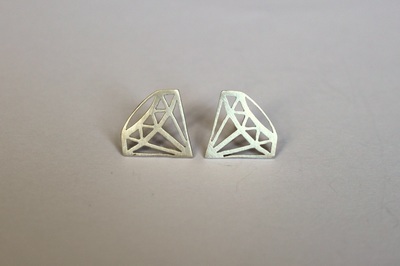 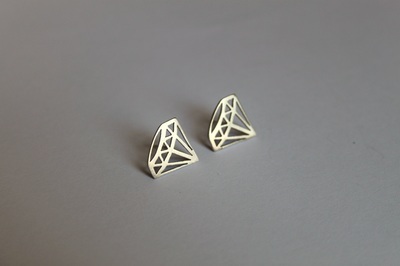 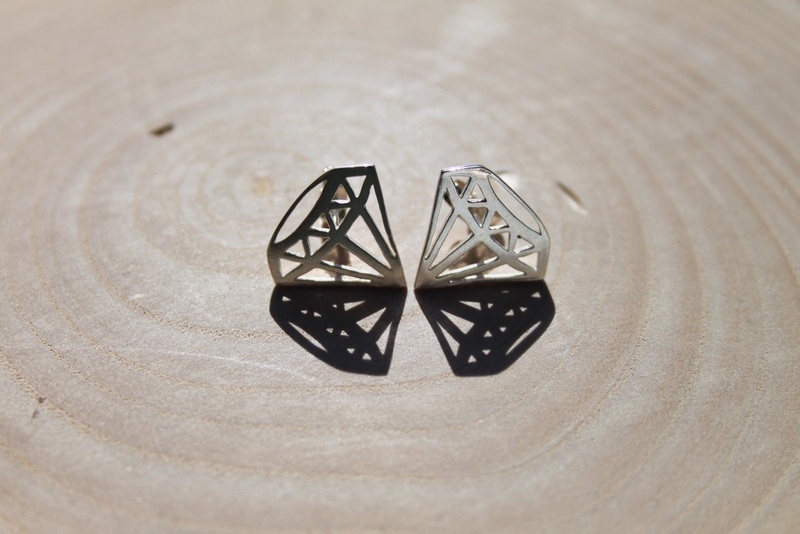 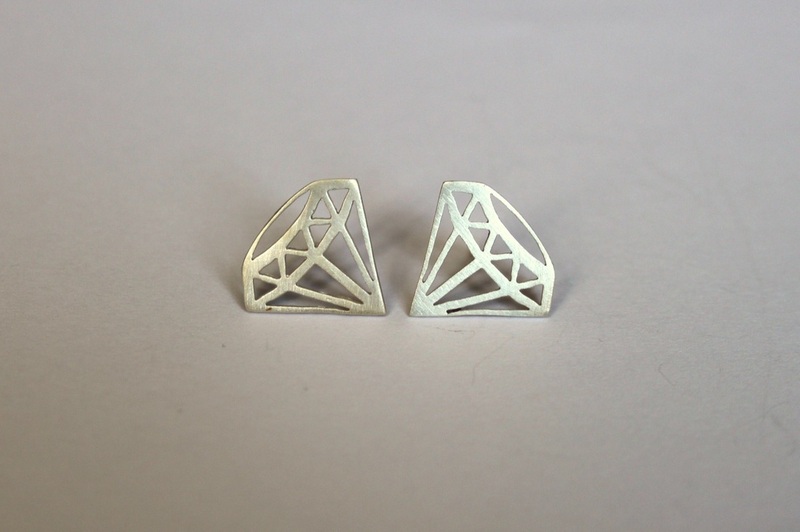 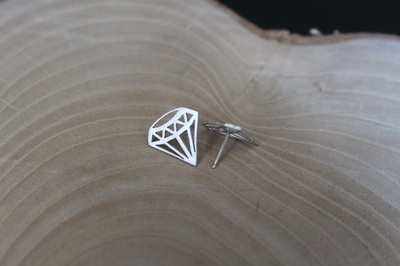 These geometric diamond shape studs are a real eye catcher. 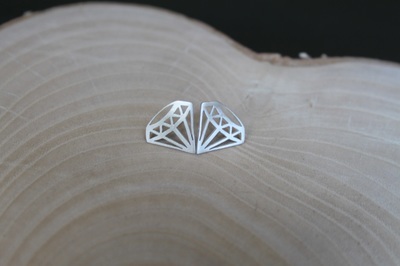 They are available in solid silver (as shown) or 24 carat gold-plated. 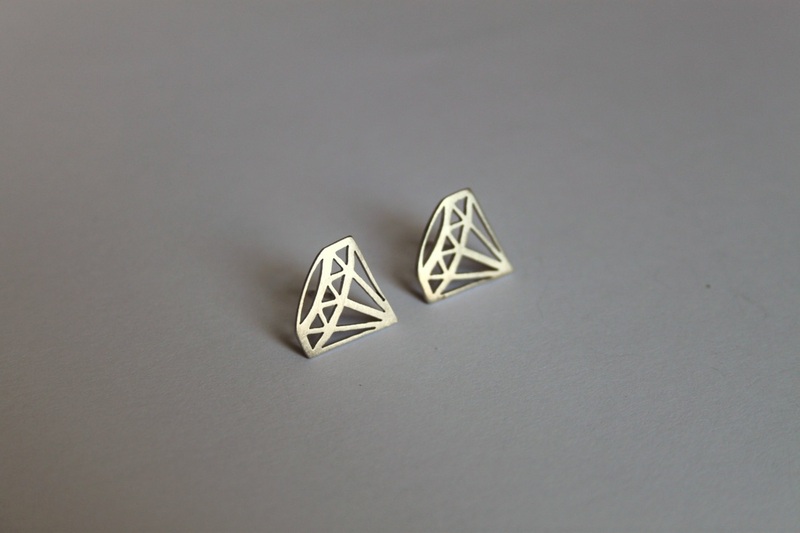 They are part of my geometric diamond range, which includes necklaces, bracelets, pendants, brooches, diamond studs, or drop earrings. 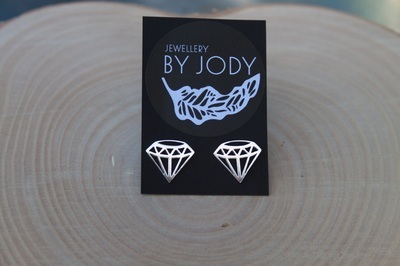 Fine polish finish - £30, satin finish - £25.